Built in 1870 on North Carolina’s outer banks in the middle of a stretch of coast known as the “Graveyard of the Atlantic,” this lighthouse was regarded in the the 19th century as the most important light on the east coast. It’s principal purpose has been to warn coastal traffic about the dangerous and shallow Diamond Shoals. Black and white spiral bands were added in 1873 to make the tower a better daymark. 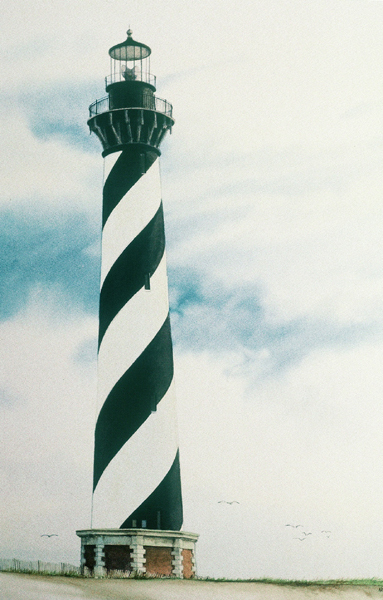 Storms and eroding tides necessitated the moving of America’s tallest brick lighthouse inland 1600 feet in 1999.